Visual Voicemail may not be accessible if using Power Saving Mode. 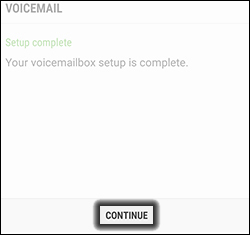 If you're having trouble accessing voicemail, view this video. 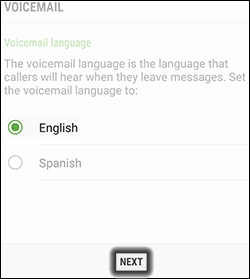 Ensure Visual Voicemail has been activados. 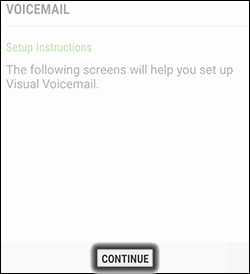 From the Apps screen, tap the Voice Mail icon . 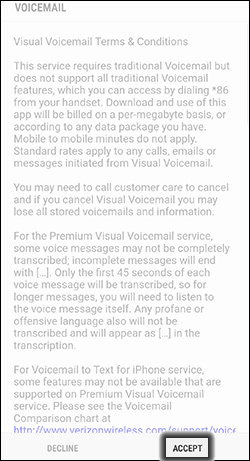 To continue, review the Visual Voicemail Terms & Conditions then tap Accept. Select a language then tap Next. 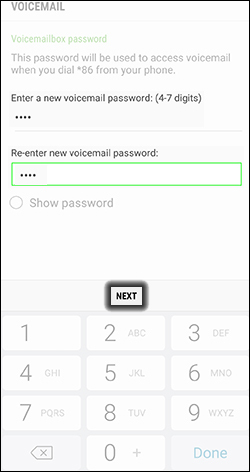 Enter the Voicemail password and confirm it by re-entering it then tap Next. 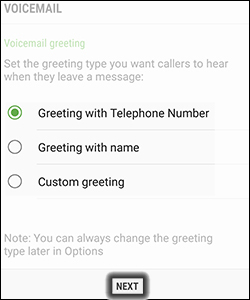 Select a greeting option then tap Next. 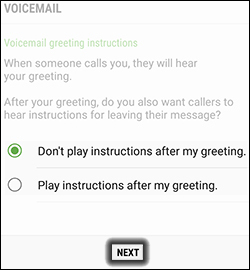 Select a greeting instruction option then tap Next. Don't play instructions after my greeting. Play instructions after my greeting. 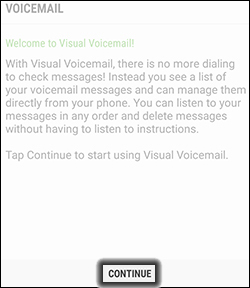 If you'd like to upgrade to Premium Visual Voicemail and enjoy added benefits like a larger mailbox, up to 20 custom greetings and transcription of voice messages to text, check out this info.